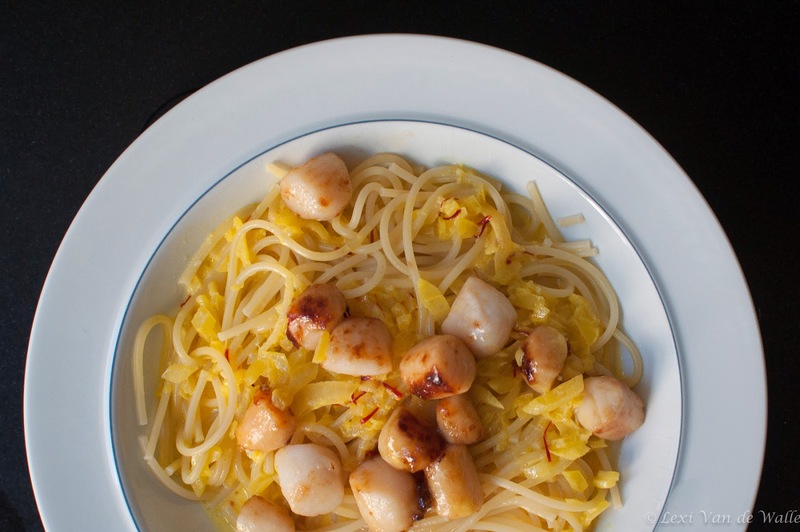 Scallop season is in full swing — this Seared Scallops with Orange Saffron Cream Sauce with Spaghetti Recipe takes advance of the fresh ingredients of winter. An easy-to-make sauce that I make fairly often will impress your family and your guests. It can be served with seared fish and shellfish over rice, pasta or a bed of spinach. My favorite type of seafood for this sauce is local bay scallops from Long Island's Peconic Bay. Sweet and local Peconic Bay scallops. Citrusy, fresh squeezed orange juice. Smooth and velvety heavy cream. 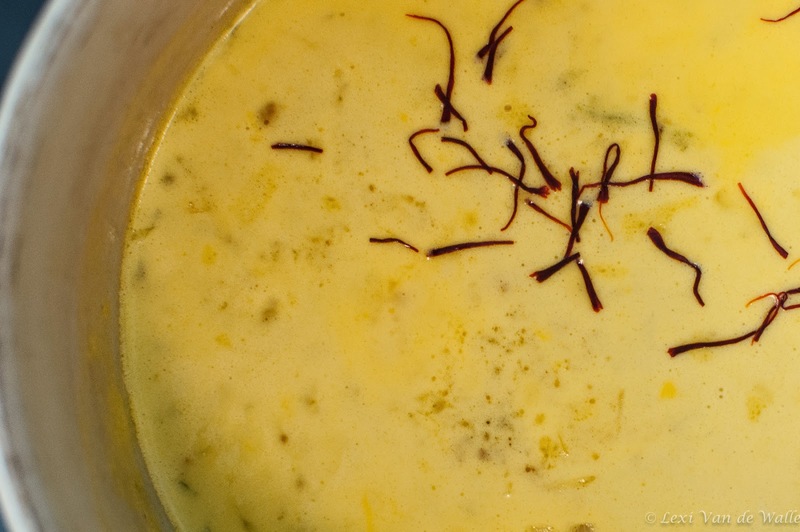 A hint of butter and slightly bitter saffron. Boil a large pot of water and follow the directions on the package. Cook the pasta at the last minute after the sauce is done and the scallops have been added to the skillet. Heat olive oil in a small one quart pot over medium low flame and saute shallots until translucent being careful not to brown or carmelize. Add orange juice and saffron and simmer for 5 minutes. Stir in heavy cream and simmer for 2 more minutes. Add salt to taste. Reheat on a low flame 3 minutes before serving. In a large skillet, heat butter over a medium heat. 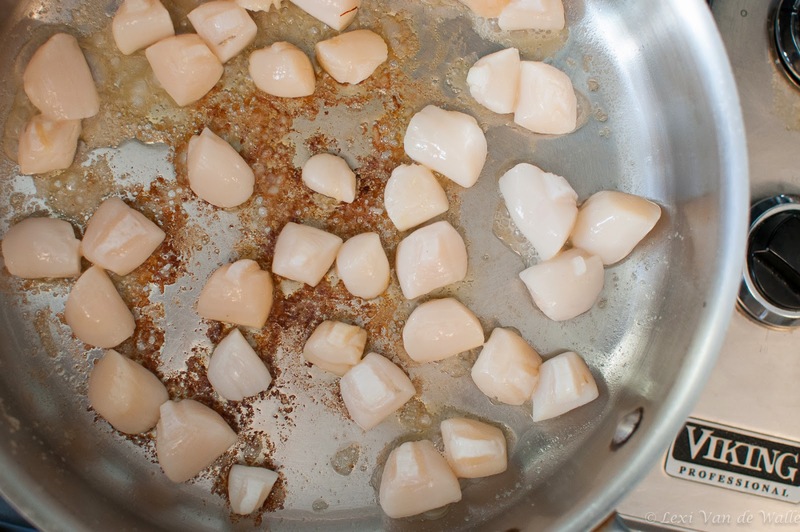 Add scallops and sauté until just cooked through and scallops begin to caramelize and brown — about 5 minutes. Turn the scallops over and cook for another minute. Combine the cooked spaghetti, seared scallops and warm sauce in a large bowl or use the pasta pot, toss and serve in individual pasta bowls. Garnish with orange zest and parsley, if desired.